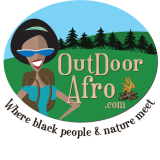 The following is a list of African-American artists and activists and selected samples of their environment-related work. Use their songs, art, and personal stories to inspire your students to care about our planet. During Black History Month, students can research and write profiles about some of the heroes listed below and help broaden the list of African-American leaders, innovators, inventors, and activists that students learn about. One of Gaye’s biggest hits, “Mercy Mercy Me” is about the importance of the environment and how mankind has damaged it. This fan-made music video includes the song’s lyrics and features images of nature, pollution, and green solutions like wind turbines and electric cars. Another well-known classic, “What A Wonderful World” is an uplifting and hopeful song about the beauty of nature, people, and love. In this ballad, Jackson calls attention to the destruction humans have wreaked on Earth, touching on the environment, pollution, and endangered species. The music video has a theme of destruction and rebirth, with Jackson singing in front of burnt and destroyed forests and a war zone before bringing the world’s people together in a chant to summon a force that heals the world. Warning: Some images may be disturbing to children. Stevie Wonder sings about wanting to go live on Saturn because of how polluted Earth is becoming. Will.i.am’s “Take Our Planet Back” music video debuted at Al Gore’s Green Ball in 2009. The video, featuring clips of Gore speaking about energy and climate change, calls on citizens and leaders to take action and work to solve the environmental issues our planet faces. In this soulful a capella song, Sweet Honey in the Rock sings about workers being harmed by pollution and bringing their diseases, along with a paycheck, back to their homes. The Black Eyed Peas sing about unifying the world’s people and the importance of rejecting hatred, embracing peace, and loving one’s neighbors because we are all of the same blood. While this poem is not specifically about the environment, Angelou uses beautiful and powerful bird symbolism to discuss social justice issues and freedom. “On The Pulse of Morning” is a long, complex and beautiful poem that describes how war and humans’ struggle for profit have laid waste to the environment and harmed a great number of people. Angelou, speaking as the spirit of nature, then calls on people to come together and return to their roots to find peace and healing. Will Allen is the director of Growing Power, an urban farming project that is based in Milwaukee, WI and owns 40 acres of additional farmland in a town west of the city. Allen was awarded the MacArthur Foundation “Genius Grant” for his urban farming and sustainable food production efforts. Van Jones is an environmental advocate and civil rights activist who has founded numerous civil rights and social justice organizations as well as Green for All, an organization dedicated to "building an inclusive green economy strong enough to lift people out of poverty." An Oakland native, Jones briefly served as President Obama's Special Advisor for Green Jobs, and he has written two books about green jobs and rebuilding the American Dream. This is a speech he gave about green jobs, poverty, and the environment at the PowerShift conference in 2011. A transcript of the speech can be found here. Lisa Jackson was the first African-American and fourth woman to become Administrator of the Environmental Protection Agency. Her interest in environmental matters was sparked by the Love Canal disaster, and she worked for a site cleanup organization and then in the EPA's Superfund site restoration program before being nominated in 2002 to direct the New Jersey Department of Environmental Protection. Jackson led the DEP until 2008, when President-elect Barack Obama nominated her for the position of Administrator of the EPA. She stepped down from her position in February 2013. Aisha Tyler is an actress, stand-up comedian, and author, best known for portraying Andrea Marino in the first season of Ghost Whisperer and voicing the character of Lana Kane in the TV show Archer. She works with the Trust for Public Land, an organization whose goal is to create parks in urban areas so that all youth have access to green, open spaces. Tyler also minored in environmental policy. TPL did an interview with her where she explains her passion for open spaces and the environment. The interview can be found here, on the TPL website. Majora Carter is an environmental activist and urban revitalization strategist who founded Sustainable South Bronx, an organization dedicated to finding environmental justice solutions for the area. Among several other green community development programs, SSBx has worked to help create the Hunts Point Riverside Park, and the organization also runs a "green-collar" job training program in the Bronx area that has a 90% job placement rate. The Alliance for Climate Education is an organization based in Oakland whose mission is to educate high school students on the science behind climate change and inspire them to take action to curb global warming. They provide free assembly presentations on climate change to high schools in their regions, which include California and major cities in twelve other states. Many of their peer educators are youth of color who help share stories of environmental justice.